Motorcycling is often times a family sport. 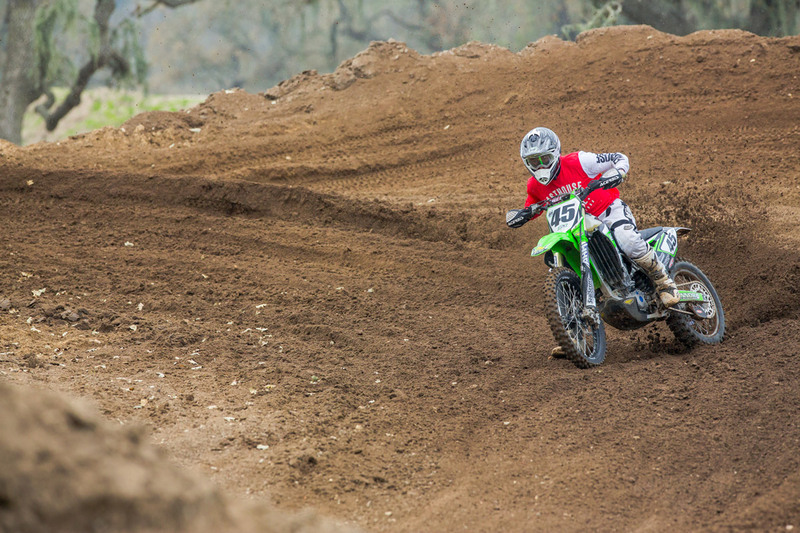 If you walk through the pits at any motocross track around the country, and ask any rider how they got into riding dirt bikes, they will likely tell you it was because of their dad. Even away from the track, Ryan and his family are close. When he isn’t on his bike, he works at the family business, Conner Concrete Cutting, which was named in honor of his younger brother Connor who passed away three years ago. 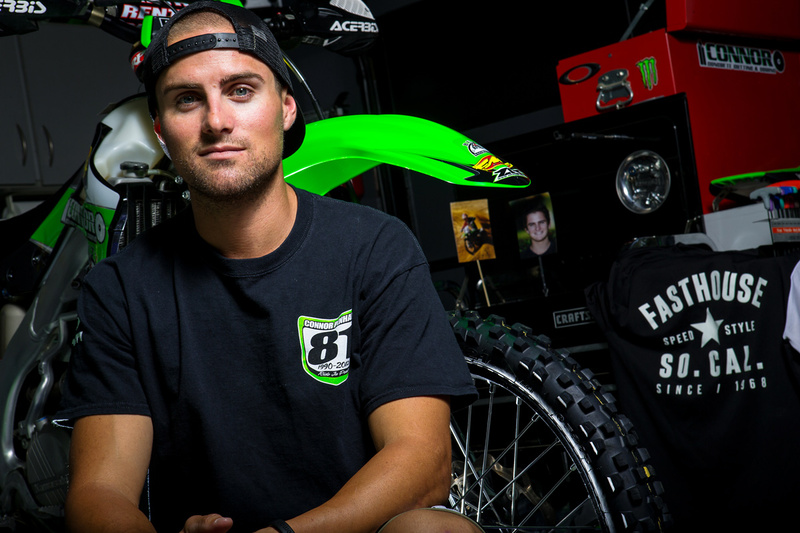 If you ask Ryan, though, his true passion, and when he feels the most relaxed, is when he’s away from work with his dirt bike beneath him. 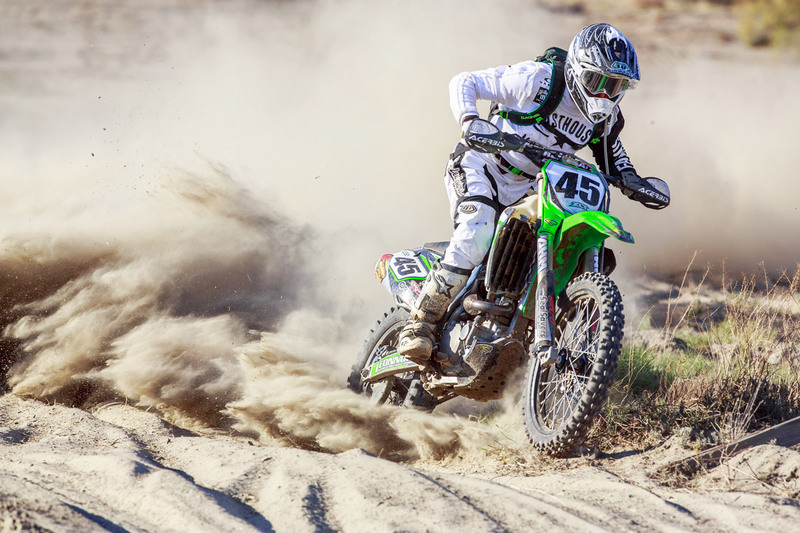 And after a few years away from racing, Ryan is making a comeback to the off-road world, competing in the competitive District 37 AMA Big 6 Grand Prix series. Unfortunately, though, a practice crash will force him to miss the next round of the series with a separated shoulder. With a little downtime on his hands, we stopped by his family’s shop to get some insight into his past, present, and future. 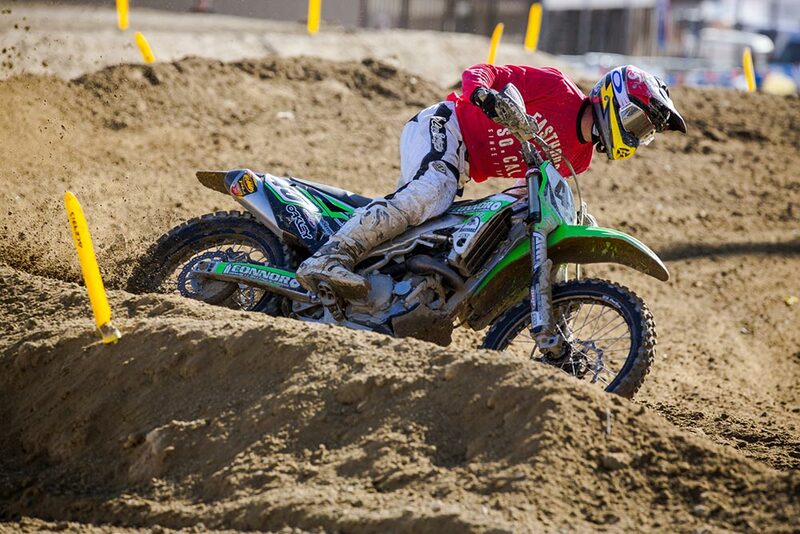 Ryan during this past year's Lake Elsinore Grand Prix. This shot was taken mid race in the Harvey Mushman 100. 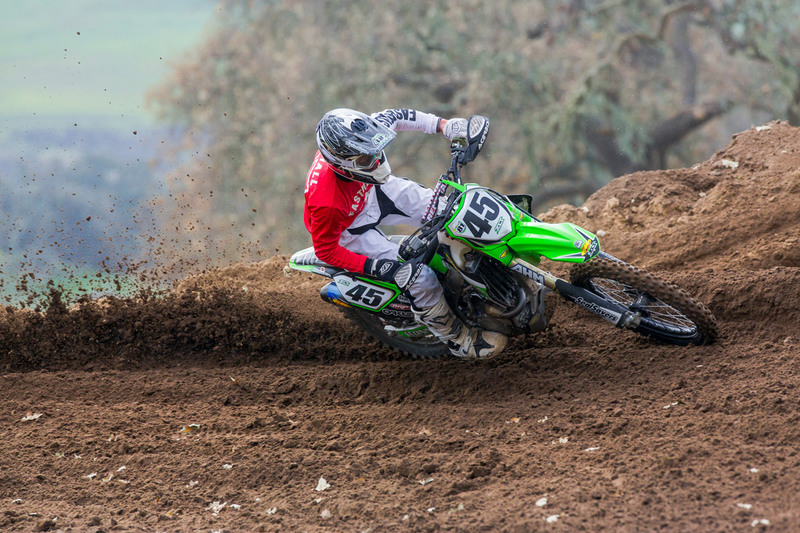 Zaca Station is one of Ryan's favorite tracks. Regular trips with his riding buddies fill his weekend activities. There is no doubt that Ryan can throw a bike sideways. 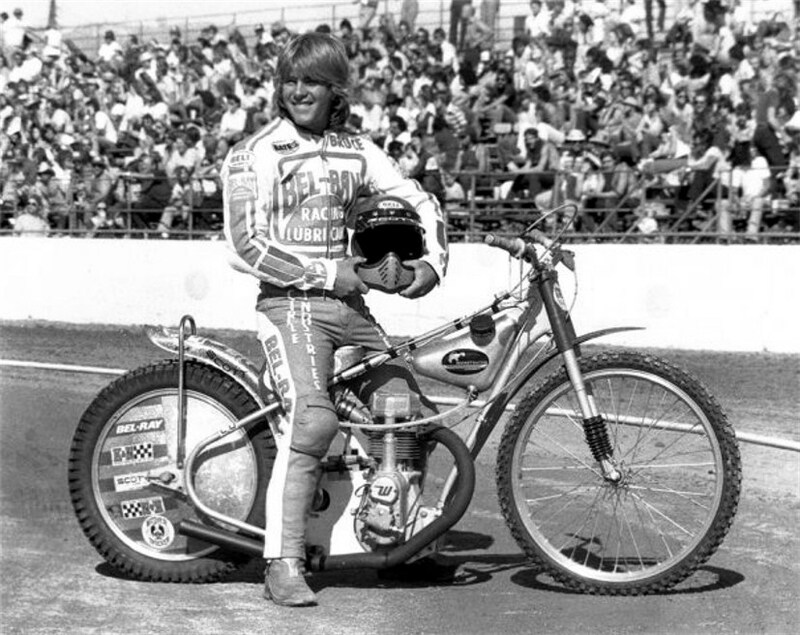 Ryan's dad Bruce won two World Speedway Championships in 1981 and 1982 and is a huge reason why Ryan began riding and racing. Ryan is a regular at Red Bull Day In The Dirt where him and his family camp for the weekend. The jump that took Ryan down, separating his shoulder and forcing him off the bike for a few weeks.